This morning I woke up to the pleasant news of Twitter opening up the Verified Accounts system for all users. For starters, verified accounts are the one with a small blue mark beside the account name. The blue mark signifies that this accounts belongs to few privileged lot – brands, celebrities, key industry experts. While they always had an online process for account verification, it was still not open to everyone. More often, it was only the business accounts that had access or at the most a Twitter representative could help you get one. In a nutshell, there was no definite process for normal users to get a verified account which has changed now. It has to be noted though, the acceptance of an application is still at Twitter’s discretion. There is no guarantee that everyone who applies shall get their accounts verified. 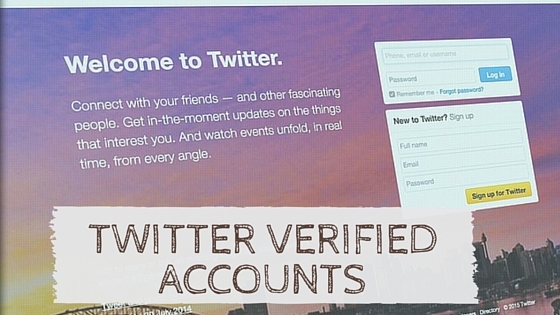 It’s not only personal account that can get verified but you can have your brand/company accounts also verified in the same process. Apart from this, Twitter is also asking for a reason on why that particular account should be verified. It provides you space of 500 characters for giving justification. Twitter will notify you about the application via a linked email address and in case the account is not verified, you can apply again in 30 days. Check out the entire verification process here. Good luck with you process!